Tier Two Academic Vocabulary Interactive Notebooks and Freebie! I am so excited to teach tier two vocabulary to my speech kids this year and it’s all because of two words: Interactive Notebooks! I have always struggled on how to integrate teaching vocabulary in a systematic way into our weekly speech therapy groups. This year my caseload contains a large group of upper elementary students who have language disorders and most are English Language Learners so effectively teaching vocabulary is a major necessity! 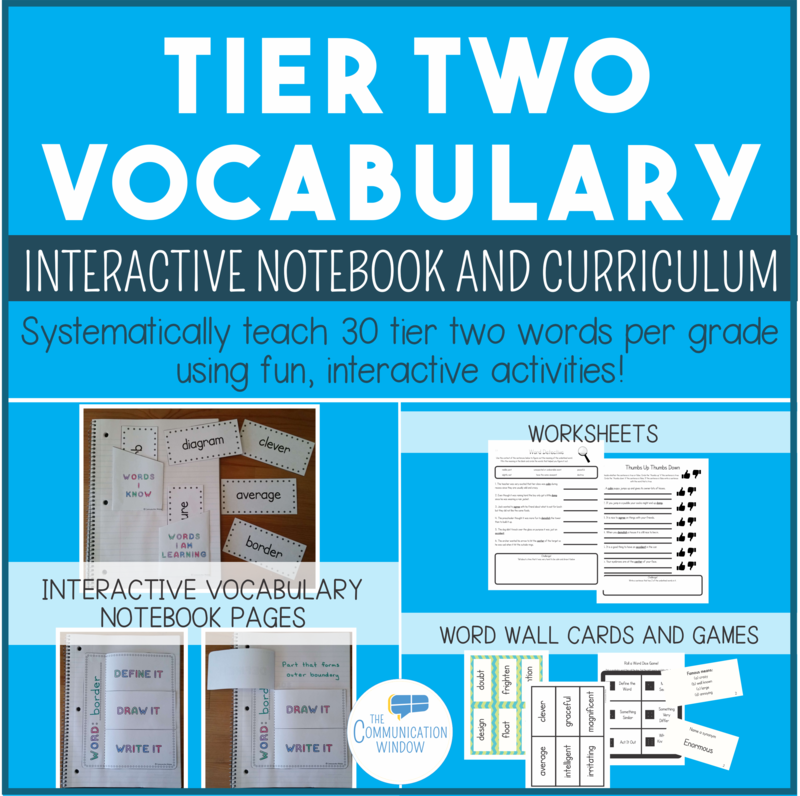 I am so grateful that I have my Tier Two Vocabulary Curriculum and Interactive Notebooks to lead the way! 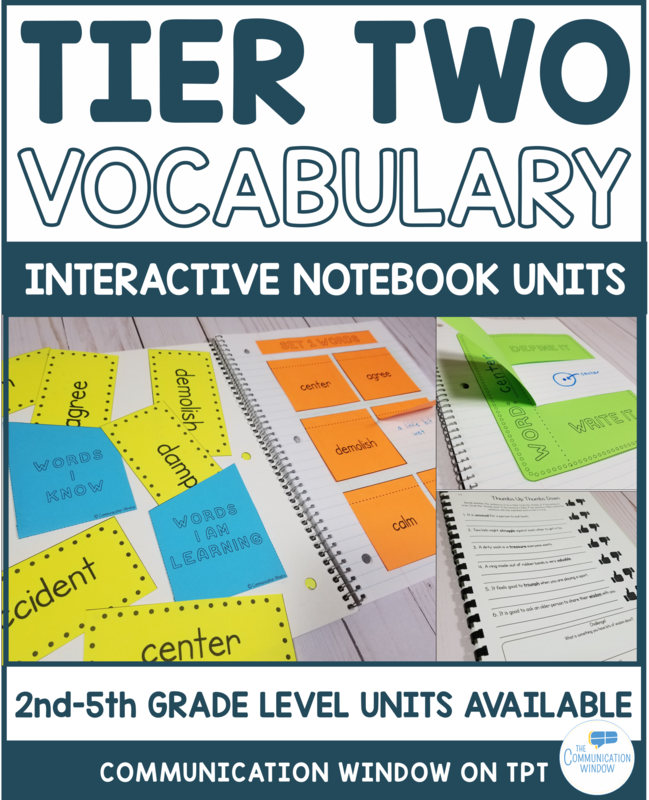 There is a unit with tier two academic vocabulary that corresponds to grade appropriate vocabulary for 2nd, 3rd, 4th and 5th grade. The units are great for using in a general education classroom or with special education students. At each grade level, 30 words are taught which are divided up into 5 subunits (6 words taught in each subunit). 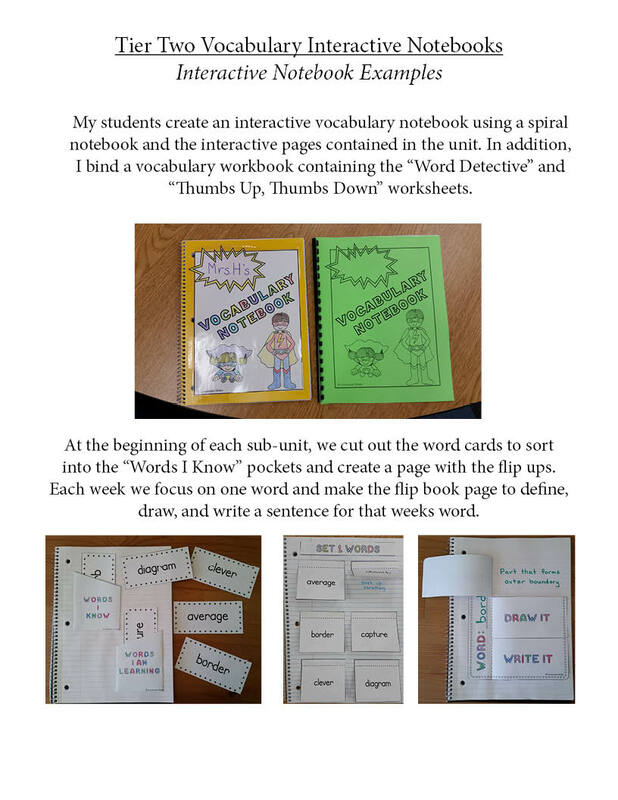 In the graphic below, you can see how my students set up their Interactive Vocabulary Notebooks. My students love creating their notebooks and are so much more engaged in learning the vocabulary words because of the interactive nature of the activities. 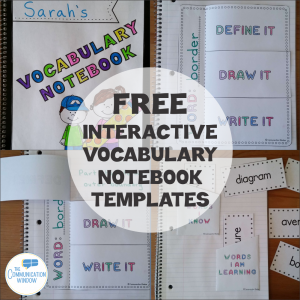 There are also worksheets included for practicing the vocabulary words and checking for comprehension. Data sheets are also included to track your student’s progress. There are also game cards for use with any turn-taking game and “apples to apples” style game cards for extra practice. Finally, there are word wall cards in a variety of styles included so you can make a bulletin board display with the vocabulary words. 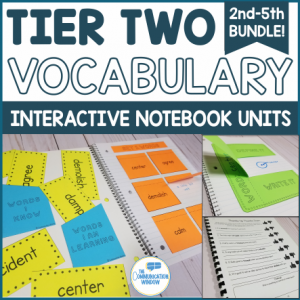 The Tier Two Vocabulary Curriculum and Interactive Notebook Combo Pack is available on Teachers Pay Teachers! You can click the image below to scoop it up!